Pur faire holsom drynk of ale, Recipe sauge, auence, rose maryn, tyme, chopped right smal, and put this and a newe leyd hennes ey [egg] in a bage and hange it in the barell. Item, clowys, maces, and spikenard grounden and put in a bagge and hangen in the barell. And nota that the ey of the henne shal kepe the ale fro sour. Those “multi-ingredient” herb ales are similar to the two new ales bought out by the Pilot and Ilkley breweries, both of which have “foraged” for their ingredients, using herbs and botanicals than can be found near their breweries. The ale from the Pilot brewery, which opened in Leith late last year, has been brewed at the request of the Vintage bar and restaurant in Leith to celebrate the restaurant’s first anniversary. The restaurant has been using foraged food in its seasonal menus, and it supplied the brewery with foraged ingredients for the ale – scurvy grass, Cochlearia officinalis, a relative of horseradish, used historically to brew “scurvy ale”, which was taken aboard ships for its high vitamin C content; laver, a variety of edible seaweed; crab apples; black lovage, Smyrnium olusatrum, a celery-like plant now naturalised in Britain but originally from Macedonia; sea buckthorn, Hippophae rhamnoides; and juniper branches. Juniper branches are a traditional part of Norwegian home brewing: while there’s little or no evidence British ale brewers used juniper, I’d be surprised if they didn’t, at least occasionally. The Ilkley brewery’s 5% gruit ale, called Doctor’s Orders, uses a recipe put together by beer sommelier Jane Peyton containing a couple of very traditional herbs for flavouring pre-hop ale, yarrow and bog myrtle. Yarrow, Achillea millefolium, is a common grassland weed, small and feathery-leaved. For pre-hop brewers it gave bitterness, a preservative effect and, if the flowering plants were used, strong herby aromas. Its taste is described by one brewer as astringent, and vaguely citrussy. It had a reputation in Scandinavia for making ale more potent, perhaps because it is said to contain thujone, the narcotic ingredient also found in wormwood. Too much yarrow is said to cause dizziness and ringing in the ears, “and even madness”. Bog myrtle/sweet gale has a similar reputation: I wrote about it here. Viking warriors, according to some authorities, consumed large quantities of bog myrtle to bring on hallucinations and, literally, drive themselves berserk before battle. But gale ale, made by adding leafy branches of bog myrtle to the hot wort, is an old Yorkshire tradition. 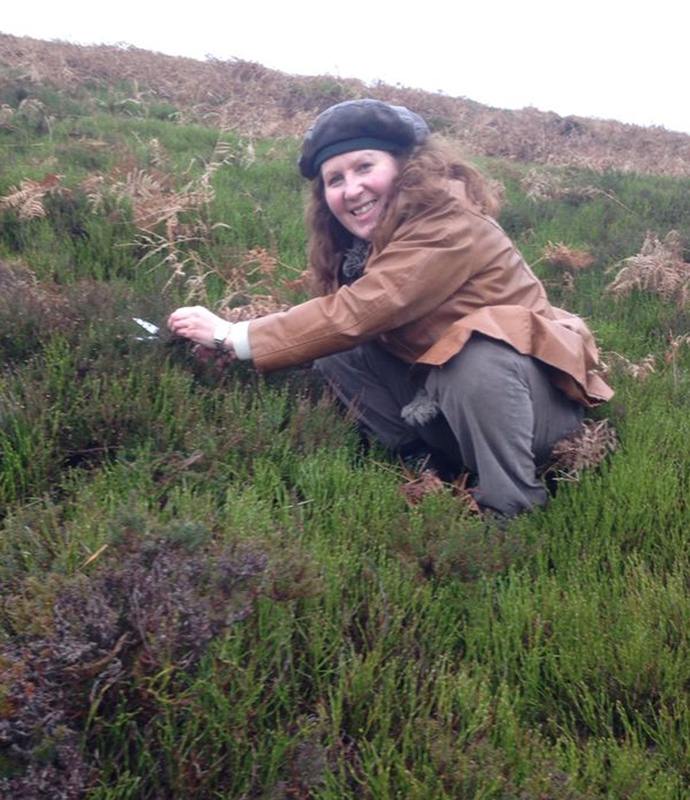 Peyton also used rosemary, sage, heather flowers and heather foraged from Ilkley Moor to flavour an ale made with six malts, Maris Otter extra pale, oats (6%), crystal, chocolate, brown and smoked, and a small amount of Fuggles hops, for preservative purposes, if not total historic accuracy. That’s five herb ales, of which only one, “Butler” (Dr Butler’s) is mixed. 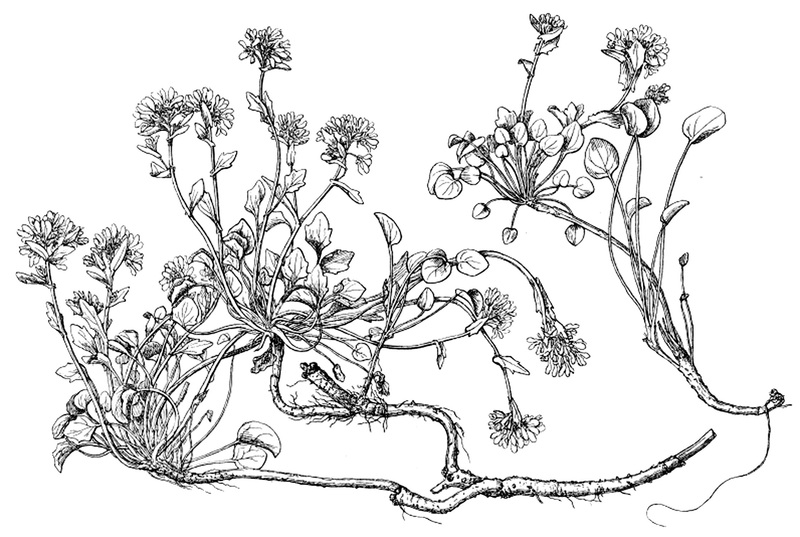 Scurvy-grass we have talked about. “Daucus” is wild carrot seed: William Ellis wrote in The London and Country Brewer, which first appeared in 1736, that when hops were dear “many of the poor People in this Country gather and dry in their Houses” daucus or wild carrot seed from the fields, which gave a “fine Peach flavour or relish” to their beer. 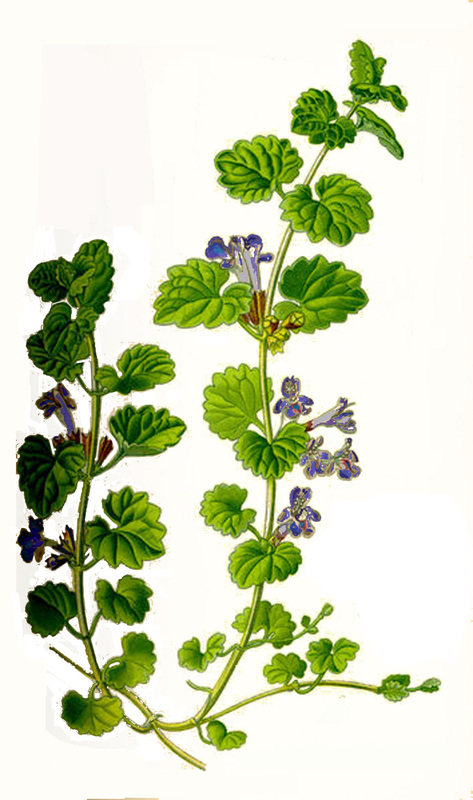 Gill ale was made with ground-ivy, Glechoma hederacea also known as alehoof (from its hoof-shaped leaves) or Gill-go-over-the-Ground, a creeping plant common in woods and hedgerows all over the British Isles: it can be used as a salad herb, and even cooked and eaten like spinach. The pre-Norman English cultivated ground-ivy, and a recipe in an Anglo-Saxon leechdom, or medical book, distinguishes between the wild and cultivated or garden varieties: another name for the plant, tunhoof, comes from tun meaning enclosure or garden rather than tun meaning cask. It was steeped in the hot liquor before mashing, and it seems to have been a widely used plant in brewing ale, even after the arrival of hops: John Gerard said in 1597 that “the women of our northern parts, especially Wales and Chesire, do turn Herbe-Alehoof into their ale.” It gives a bitter, very strong, tannic flavour to ale (described by Stephen Harrod Buhner as like black tea), but more importantly it helps fine the drink, clearing new ale overnight, according to Culpepper. Gill ale was being advertised on the signboard of the [Red?] 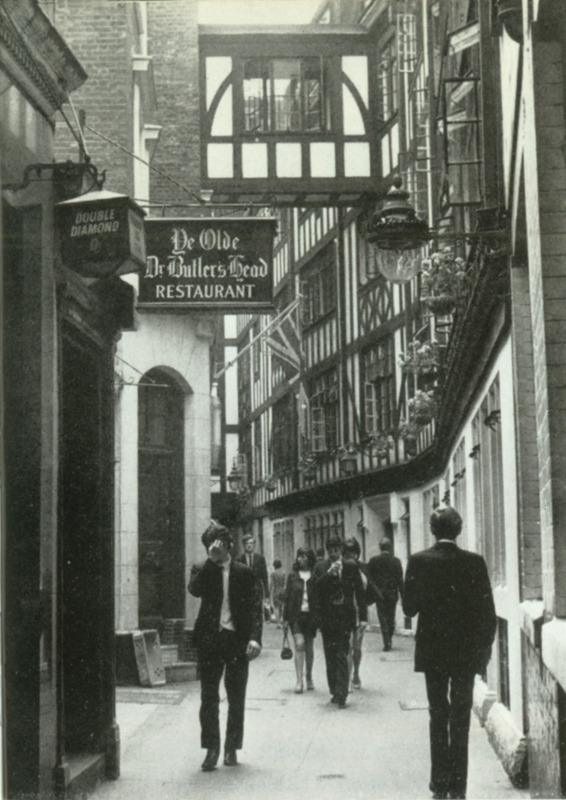 Lion pub in Bird-Cage Alley, Southwark in around 1722, “Truly prepared and recommended by famed Doctor Bostock”, Bostock being the pub’s landlord. The young green tops of broom, Cytisus scoparius (or Sarothamnus scoparius), were used in season to give a bitter flavour to ale. Among the bitter compounds found in broom is sparteine, a narcotic alkaloid which can cause hallucinations in very large doses, and probably gives a buzz even at low levels. Broom was one of the bittering agents specifically banned under the Act of Parliament in 1711 that imposed a penny a pound tax on English hops: the only let-out was that retailers could infuse broom and wormwood in ale or beer “after it is brewed and tunned, to make it broom or wormwood ale or beer.” Wormwood has been used to make bitter wine-based drinks since at least Roman times, and is the origin of the word vermouth. Maude Grieve, author of A Modern Herbal, published in 1931, said that shepherds had long known that sheep who ate broom became excited and then stupefied, “but the intoxicating effects soon pass off”. Broom also contains tannins, which would help to preserve ale, and make it taste more astringent. Broom ale is another one I’d love to see revived. The hop tax banned other bittering agents purely to try to crush tax-avoidance, despite a claim that it was done because “it had been found by experience that hops used in the making of malt drinks were more wholesome for those that drink the same and of greater advantage to the drink itself than any other bitter ingredient that can be used.” It did not stop home brewers using herbs: William Ellis said when hops were dear, some used “that wholsome Herb Horehound, which indeed is a fine Bitter and grows on several of our Commons.” This was white horehound, Marrubium vulgare, “extremely bitter” according to Stephen Harrod Buhner, rather than the nasty-smelling black horehound or Stinking Roger. Horehound is still used in herbal cough mixtures, and was sometimes used in a “beer for coughs”. The juice of horehound, according to Ellis, was also used to spruce up used hops and sell them to the gullible, when dried, as new. Just over 20 years before the hop tax was imposed, Thomas Tryon, in his A New Art of Brewing Beer, Ale, and Other Sorts of Liquors, published in 1690, list 13 herbs that could be added to ale, and said there were “a great number of brave Herbes and Vegitations that will do the business of brewing, as well as hops, and for many Constitutions much better, for ’tis custom more than their real virtues that renders Hops of general Use and Esteem.” His two favourites, “noble” herbs, of “excellent” use in beer or ale, were balm, or lemon-balm, Melissa officinalis, an introduced herb from the eastern Mediterranean, and a relative of ground-ivy, and pennyroyal, Mentha pulegium, a small-leaved member of the mint family, with a bitter flavour and a pungent odour, which grows wild on the muddy edges of ponds. Tryon said it made “brave, well-tasted Drink”; today, however, it is regarded as dangerously poisonous, not least because it can induce abortion. It is now an endangered species, known from only a dozen or so places. Don’t try (on) this one. Previous PostThe discreet charm offensive of the BrewDoggiesNext PostWas water really regarded as dangerous to drink in the Middle Ages? Extremely interesting as always. I wonder if tansy was used and I say this because numerous 19th century sources mention its use with (U.S.) whiskey. For example, Jack Daniel, the famous distiller, liked his whiskey with tansy and sugar. Hops are (or can be) used in distilling too, in connection with making yeast or the mash, so I thought there might be some crossover for tansy as well. For 20 years I have searched out tansy but can never find it. Most garden stores or health food stores here at any rate have never heard of it. I can’t recall ever seeing the seeds for sale although probably online you can get them. Maybe tansy is slightly toxic too? Not sure. I like herbs in beer but I find the beer always better when they are combined with hops. If you leave out the hops, it doesn’t taste right, to me. Yes, Tansy, Chrysanthemum vulgare (or Tanacetum vulgare) was one of the herbs recommended by Thomas Tryon. It’s a hedgerow plant in the UK, rather than cultivated. 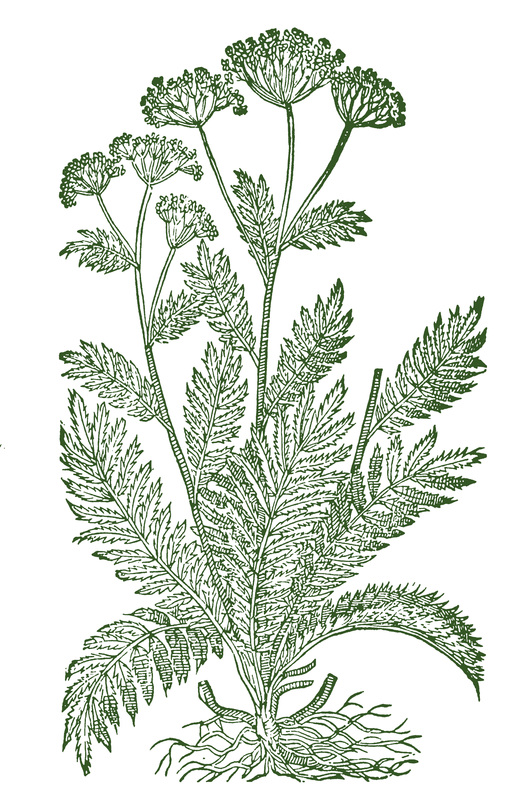 The leaves are apparently very bitter, and Tryon warned that “when you infuse in your Beer or Ale Wormwood, Broom, Tansy, Carduus or any other herb which exceeds in bitterness, you ought not to let them lye in your Wort above half an hour, or if you put in a good quantity, a quarter of an hour will be enough.” Like yarrow and wormwood, two fellow members of the daisy family, tansy leaves contain large amounts of thujone, and they also have a moderately high tannin content. However, the plant can be poisonous in large quantities and should not be ingested by pregnant women. Gary – I’m surprised that Toronto would be that different from here in Ann Arbor, Michigan, USA, only a few hundred km west of you and at the same latitude. Here, tansy is a common weed in roadside ditches and old fields. I’ve often collected it for wildflower bouquets, and mean to brew with it soon. Very interesting article indeed ! The Dutch word Gruit ( of which the familyname – Gruiters – is derived – possibly a supplier of Gruit ?) is also sometimes spelled as Gruut or Gruet probably depending on what part of the Netherlands you are in ? There are also surnames like – Hoppenbrouwers – so they were brewers who used hops ! The use of Hops and Gruit changed around – I think – depending on the taxes the nobility raised on them. The brewers were then already not – from yesterday – so when the nobility put taxes on the use of Hops then the brewer used gruit and visa versa. The American craft brewers have shown us in the last fourty years what kind of substances can be succesfully used in brewing beer or ale to make it more intyeresting and different. I never will forget the wonderful Chocholate Stout Denise served near S.F. and the incredable Cherry beer Guido served in Montreal or all those fantastic beers Sierra Nevada produced and still produce ! Keep writing these intersting articles please Martyn ! Great post! Here in Ontario, we have an ale flavored with Sweetgale (Myrica gale), a plant used by early settlers as a substitute for hops.